I’m a big fan of the White Rose shopping centre in Leeds. 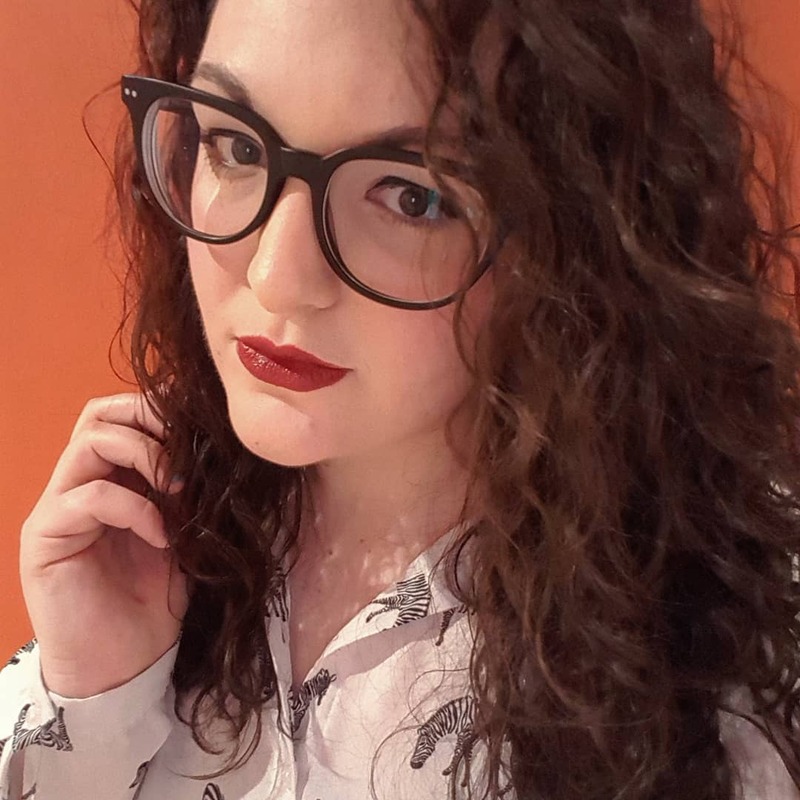 Though it holds not so fond memories of the time me and my best friend Bethany got lost when we were 7, a lot has changed since then and it’s now one of those out of town shopping centres with everything you need. Including a massive Sainsburys and nothing gets a 26 year old’s heart racing like a supermarket with all the choice you could ever need apparently. But I digress. The White Rose has had a Christmassy facelift and this year, it’s filled with a whole load of festive cheer. I was invited down for a full evening of Christmas activities and I was not disappointed. 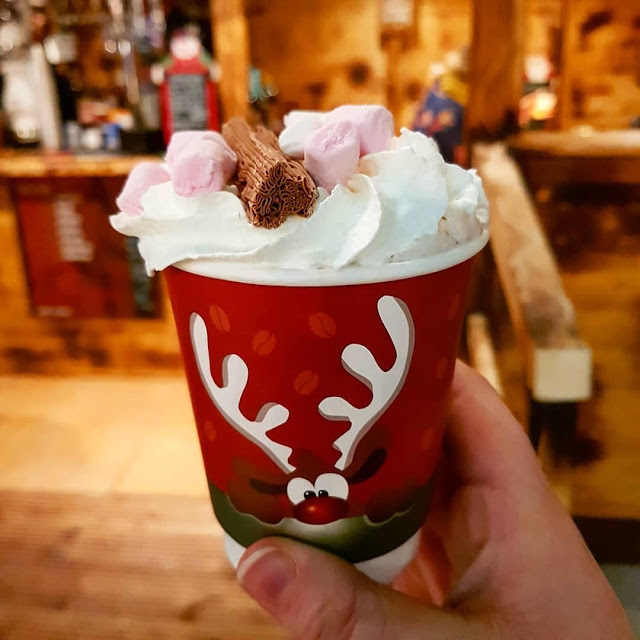 Santa (the real one, obviously) has taken residency in The White Rose until Christmas Eve – if you do leave it to the 24th, please be warned that he has a 3pm finish that day as there is sleigh prep to be done. If you’d like to take your little one to visit the man in red, it will set you back £5 per child for the visit, which includes a gift and the opportunity to take a photo to embarrass them with on their 18th birthday. I have a fantastic photo of my sister and I with Santa as children where Charlotte looks like she’s about to cry because she’s been put on the naughty list and it is absolute gold. One of the biggest developments of the White Rose in the last year or so has been ‘The Village’ which is where there are a whole load of new restaurants, a play area, al fresco dining and Cineworld IMAX. I love this area as it’s a little separate from the centre and there are restaurants without the feel of a ‘food court’. 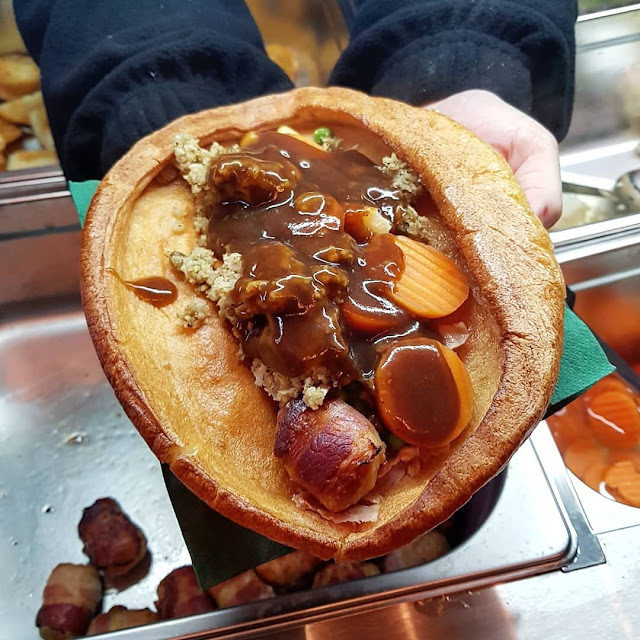 Right now, that outdoor space is being used for a series of German market style food huts so that you can indulge in mulled wine, Cadbury’s hot chocolate, bratwurst, deep fried oreos and the absolute king of the county street food, the Yorkshire pudding wrap. This was a solid 11/10 choice as it was a giant Yorkshire filled with freshly carved meat of your choice (I went for gammon), veg, roast potatoes, gravy and topped with a pig in blanket. Heaven. Our last stop on our festive journey was to Cineworld to see The Grinch. 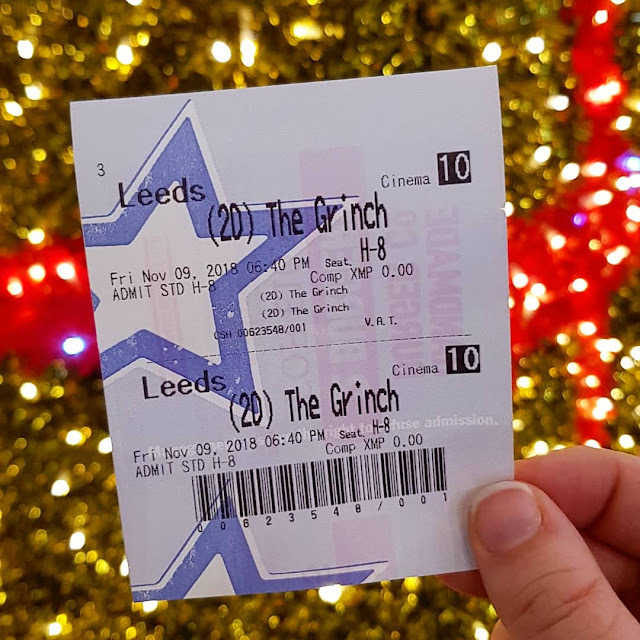 Though I think everyone is a little wary before watching an animated version of a classic film, I can honestly say, it was brilliant. It was heart warming and cosy and funny and hit you in the face with a wave of nostalgia. 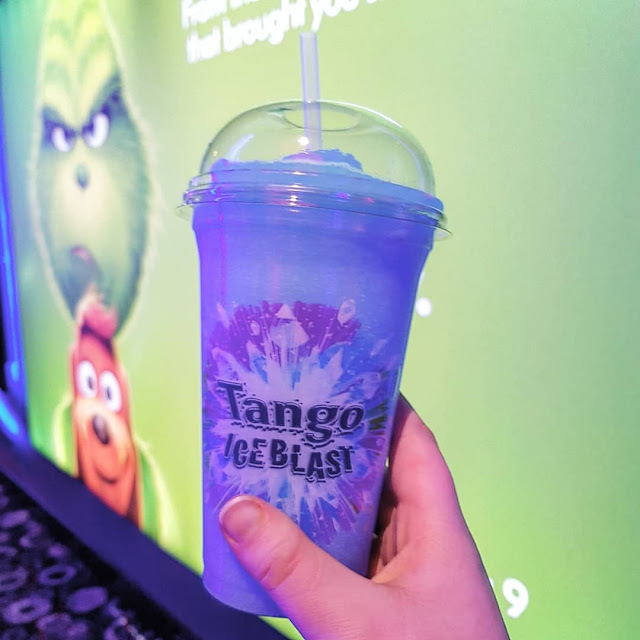 The cinema itself is really nice, with red leather seats that recline and a cup holder for your Tango ice blast – it’s the kind of cinema that doesn’t need to have the fancy expensive seats because all of the seats are that level of comfy. If you’re heading to the White Rose this Christmas, I’d definitely recommend dumping your bags in the car and heading to The Village for food and a movie.